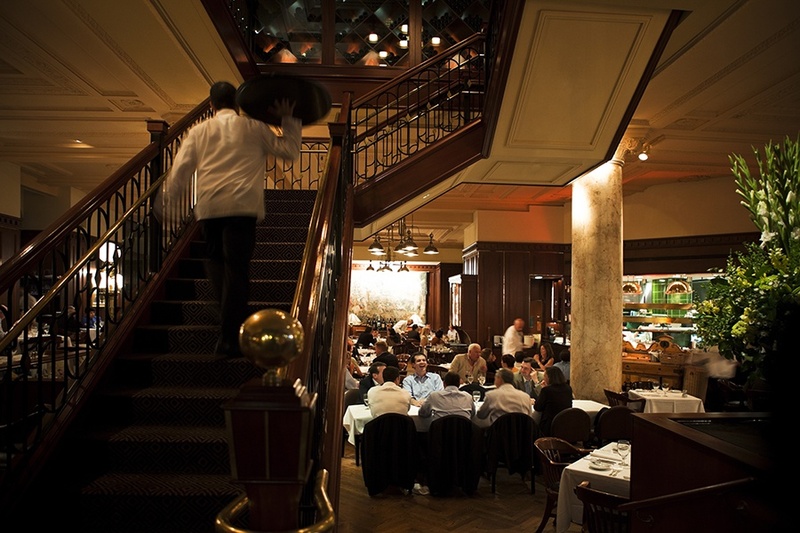 Celebrate with a festive feast at Yvonne's, Alcove, and more of Boston's finest restaurants. Savor this busy season by making time for an indulgent lunch with colleagues, family and friends. Annual favorites like No. 9 Park return with weekday lunch on the Boston Common—perfect for an après-skating warm-up—and new spots, like Alcove on Lovejoy Wharf, also make December days merry and bright. Check out the festive lunch offerings below, and happy holidays. This is the first holiday season for this new, Farm Coast-inspired restaurant, but owner Tom Schlesinger-Guidelli is no stranger to luxurious hospitality as an alum of Island Creek Oyster Bar, Craigie on Main, and more. If your errands bring you near North Station, stop here for festive holiday lunch options like pumpkin sage soup, seafood bolognese, and moules-frites, with special caviar selections and expanded Champagne offerings. Seasonal brunch on Sundays also continues through the New Year. Monday-Saturday 11:30 a.m.-2:30 p.m., Sundays 10:30 a.m.-2:30 p.m., 50 Lovejoy Wharf, Boston, 617-248-0050, alcoveboston.com. 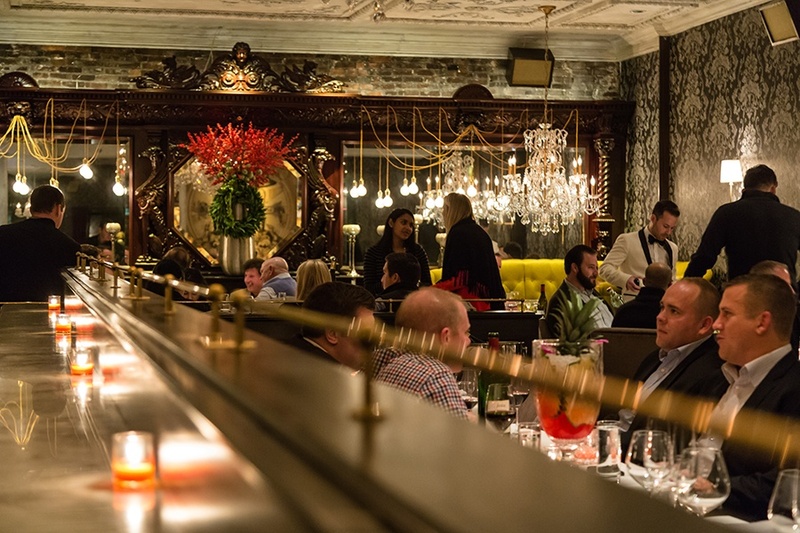 Treat your Financial District business associates to a three-course meal with an optional wine pairing, or a festive gin cocktail. Herbs and greens from the on-site Freight Farms supplement chef-owner Mary Dumont’s colorful dishes on the $50 prix-fixe, such as the pear salad with endive, Brussels sprouts, apple butter, and Bayley Hazen blue cheese; and seared halibut with celery root puree. The regular Cultivar lunch menu is also available through the season. Weekdays, 11 a.m.-2 p.m., 1 Court St., Boston, 617-979-8203, cultivarboston.com. The halls at this incomparable steakhouse are decked for holiday lunch to return for the season on December 10. Cozy up by the fireplace for a decadent 100-day aged prime ribeye, rigatoni bolognese with hand-dipped ricotta, and more from executive chef Peter Agostinelli and team. It’s all paired with the exemplary wine program led by sommelier Brahm Callahan. Weekdays, December 10-21, 11 a.m.-2 p.m., 161 Berkeley St., Boston, 617-542-2255, grill23.com. For a few days between Christmas and New Year’s, Somerville café Juliet will serve high tea inspired by the pastoral world of Wind in the Willows. 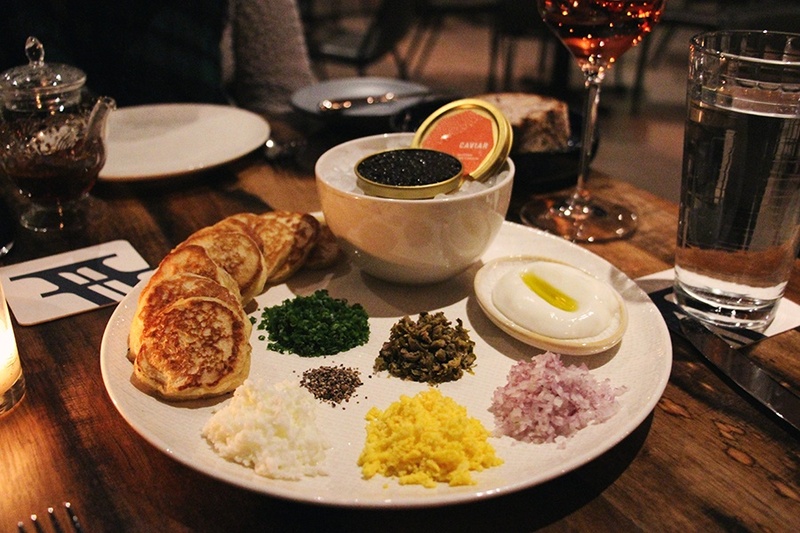 The Mole’s Basic Basket is full of simple pleasures from chef Joshua Lewin, like radishes and butter with watercress on brioche, lemon-chicken salad, and scones; then there are add-ons like “OK, Toad!” which comes with an ounce of caviar, blini, and scrambled eggs. Each option is complete with the party’s choice of tea. December 27-29, 10 a.m.-2 p.m., 257 Washington St., Somerville, 617-718-0958, julietsomerville.com. 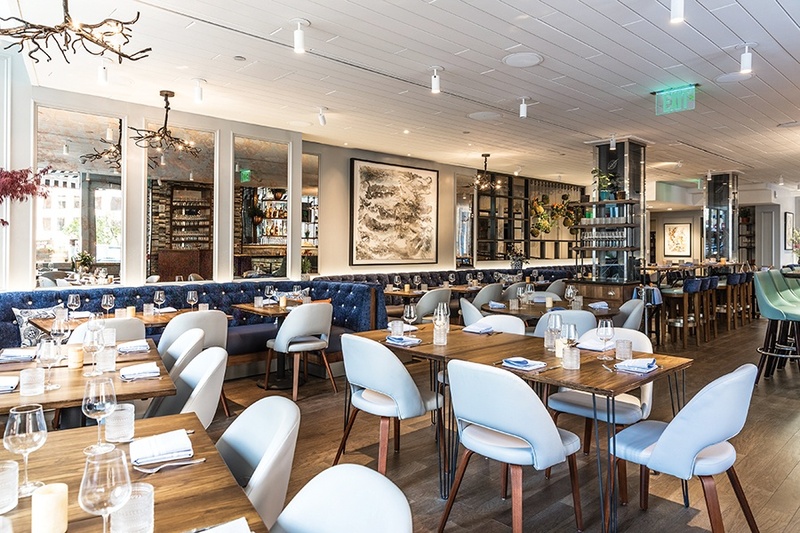 Holiday lunch at this Beacon Hill spot is an annual tradition, and preceded by a skate around the Frog Pond, it’s a surefire way to create lasting memories. 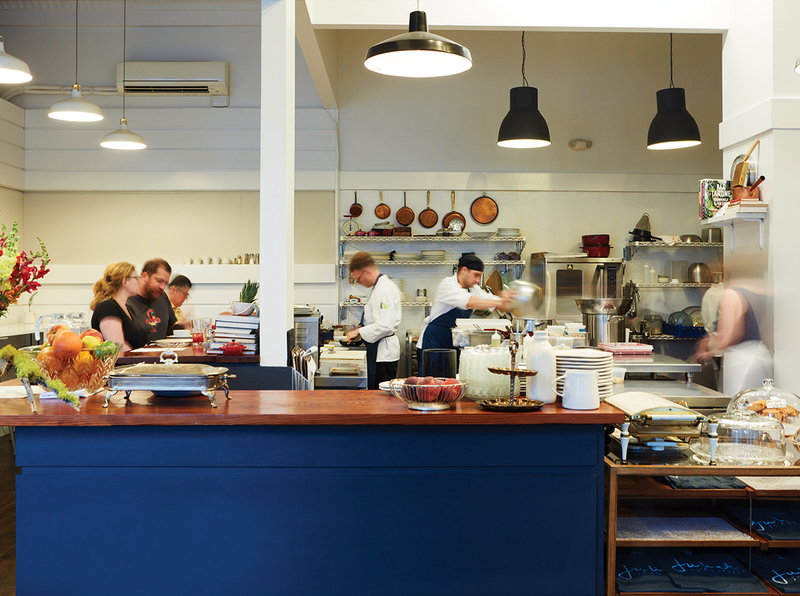 Warm up with Barbara Lynch Collective classics like onion soup, white Alba truffle risotto, and toffee bûche de Nöel during an a la carte feast, or linger over a five-course tasting menu ($75). There is an optional wine pairing, and guest bartenders will join the fun throughout the season. Weekdays, November 26-December 21, 11:30 a.m.-2 p.m., 9 Park St., Boston, 617-742-9991, no9park.com. Some long lost holiday traditions, like the Jordan Marsh Enchanted Village, are gone from Downtown Crossing. But extravagant lunch at Locke-Ober continues every Friday this season at its successor, Yvonne’s. 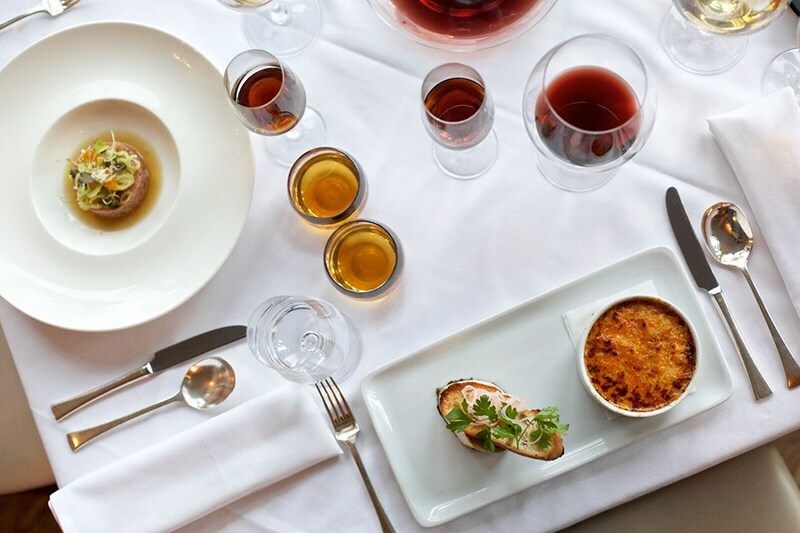 Culinary director Tom Berry and executive chef Mark Cina pay homage to the past with recipes straight from Locke-Ober menus, like baked lobster Thermidor, and an 88-ounce trifle. Reservations are required for a table, but there’s also a special lobster croque monsieur available this season at the bar only. Fridays, November 30, December 7, 14, 21, seatings between 11:30 a.m.-2 p.m., 2 Winter Place, Boston, 617-267-0047, yvonnesboston.com.